This is going to be image heavy, it's been a few years since I posted regularly here and my crafting has not slowed in the meantime. This is my most recently finished bedlah (belt and bra) I bought the hard cups from sugarpetals.com, covered them, and built the bra. I drafted a pattern for the belt constructed a base in flet and interfacing. 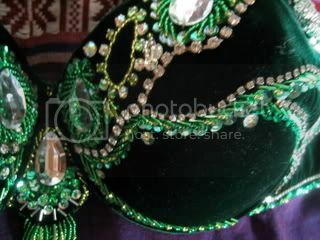 All the beadwork is my original design, and the fringe was done by hand. I bought the skirt. Before that I made a new belt for one of my existing bra and belts so the set could be used with a wider range of skirt styles. 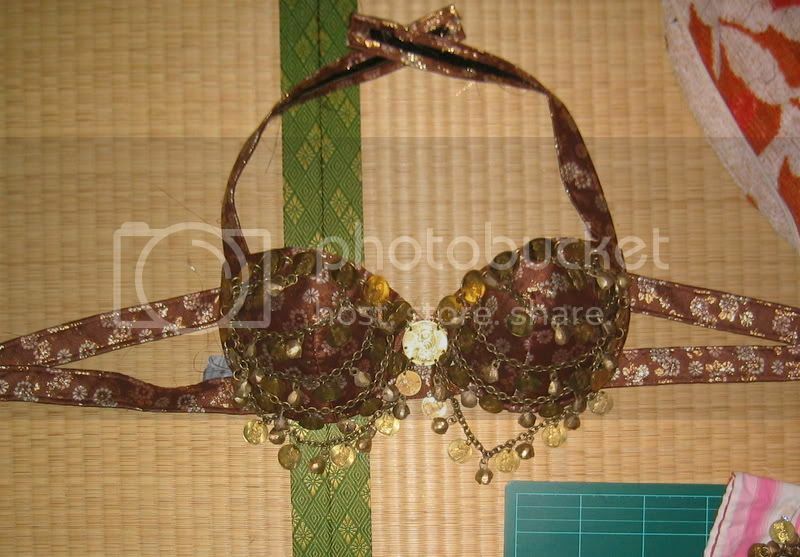 And between the two I built a bra and base for a coin cover set I7d bought used and fixed up. This helped me get in touch with my swearing at needlenose plier skills. Windmills do not work that way--GOOD NIGHT! Those are all gorgeous!! And you look super hot! Wow. The detailing on those pieces are all so intense... Great job! I love Futurama, Harry Potter, Ouran, and personal swaps, hint hint. PM me! Wow! I love belly dancing and these costume are fabulous!! I love all of those!!! Good job! The detailing is why I don't take comissions for my work. I've explained to local dancers "If I charged you the hours it takes to bead these? You'd find it cheaper to hop on a plane to Egypt and get one made there!" 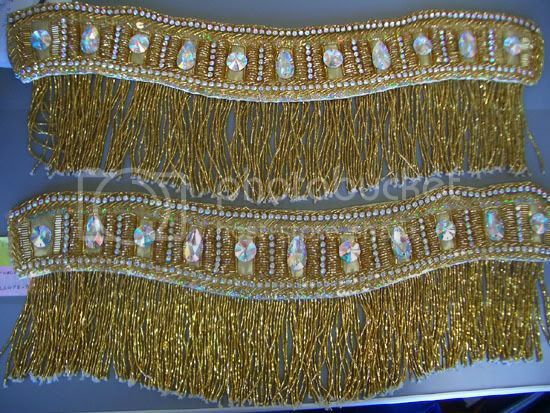 The Tribaret is the first time I've embraced using pre-made elements such as cheap acrylic beaded fringe to cut down on time. Come....come back to the dance...we beg of you. omg so hot, especially that last one.... it's a doozy. All of these pieces are absolutely stunning! 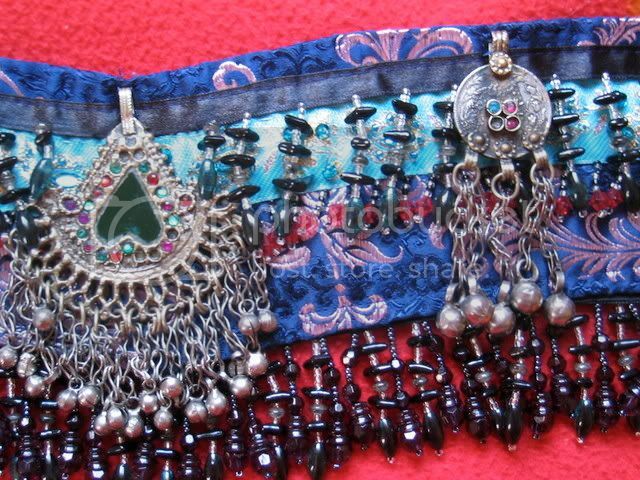 You must have the patience of a saint to deal with all those fiddly little bits of bead and fringe work. May I also just say that you have the perfect body? Wow. Congratulations on a fabulous job! I love the colors and elements you put together, really stunning.